What's the difference between shared hosting, VPS hosting, dedicated hosting and cloud hosting? 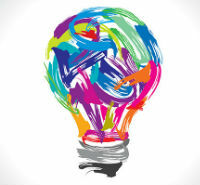 Find out the pros and cons of each and see which one best caters to your website. Do You Really Need Unlimited Space? 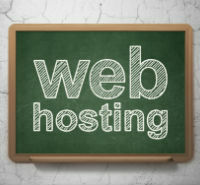 There are thousands of hosting providers on the Web today, only the best of which have made it onto this site. Yet the fact that there are so many options to consider means that these companies are constantly cutting their rates and enhancing their features to remain competitive in the industry. Ask any school administrator and they’ll tell you that a strong program requires involvement from parents, teachers, staff, and students. The easiest way to achieve this is with a school website. Infinity & Beyond: Does Your Site Really Need Unlimited Space? 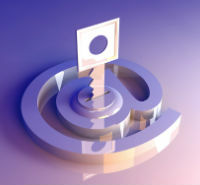 Shared hosting is far and away the most common entry-level hosting solution. Instead of having to invest in a complete hosting system end infrastructure, you simply share server space in the provider’s data center with other customers. This is a very low cost way to get your site on the Web without sacrificing any of the features—like a built-in website builder, email accounts, and various plugins—enjoyed with more expensive options. However, shared hosted solutions offer very little in the way of control; you get limited space; and security risks are higher than other Web hosting solutions due to the proximity of those sharing with you. What you save in monthly cost, you have the potential to lose in security and scalability. As your business grows, you may need to find a host that can accommodate the demands associated with the growth. VPS (Virtual Private Server) hosted solutions are similar to shared hosting in that you are renting space from a provider. However, your space in a VPS host is isolated from the other customers. The result is that you enjoy more storage space and greater server security. While VPS is not as low cost as shared hosting, it is very affordable. You also get more control with VPS through access to control panels on the backend, but that means using a VPS hosting solution requires a certain level of technical know-how. Don’t worry, though; you can find managed VPS hosting plans and have the provider’s Web developers do your server administration for you. With dedicated Web hosting solutions, all of the resources are devoted to one customer. You get all of the space, bandwidth, and privacy. Because you have a server all to yourself, dedicated hosting is the most secure option compared to VPS and shared hosting. You also get to control everything—from the configuration of the operating system to the number of users with administrative access to resource usage monitoring. Plus, dedicated servers have their own unique IP addresses. Shared and VPS hosting plans share an IP address with other customers on that server. If one of them is a spam generator or an adult site, your SERP (search engine results page) ranks could suffer. Dedicated hosting solutions tend to be much more expensive than shared or VPS alternatives and require technical administrators. 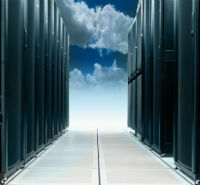 Many dedicated customers opt for managed hosting. You keep the same control and security; but, someone else does all of the dirty work for you. Cloud hosting is very similar to VPS in that your site is stored in space on servers that are also being used by others. However, unlike VPS, the physical servers are not in the same location; they can be anywhere across the globe. As such, there are copies of your site on multiple servers. That redundancy creates security. If one goes down, you can access it through another. This makes the cloud a solid option for international hosting solutions. 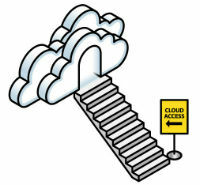 Cloud hosting allows for instant scalability. Should your site need more bandwidth or storage due to seasonal traffic spikes, you can plug into extra resources in the cloud. One drawback to cloud hosting is that it can be costly (not as expensive as dedicated, but costly nonetheless). Those costs do not automatically translate into more control or backend access, either.